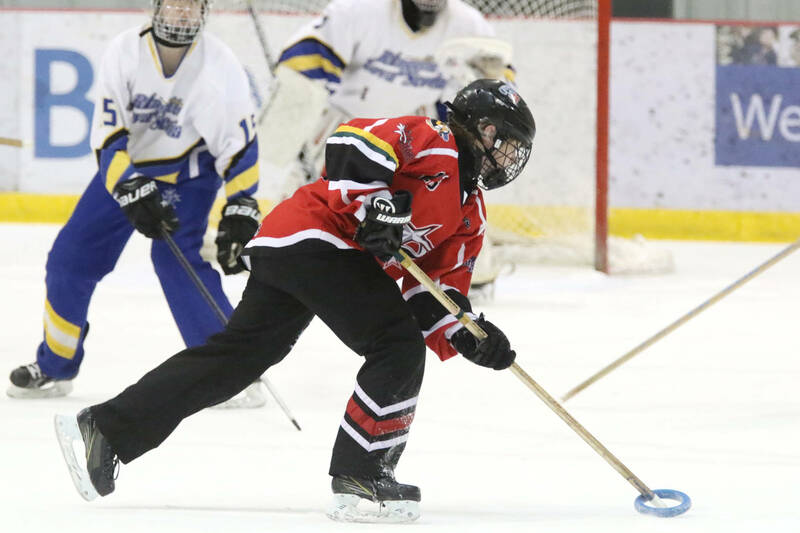 Since first taking up ringette as a five-year-old, Courtney Bacon has tried to push her limits on the ice and excel in the sport. The hard work ended up paying off with a spot on the Team B.C. ringette squad at the 2019 Canada Winter Games. While initially taking to the ice as a figure skater, it became clear that she was looking for something a bit more competitive and team-based. After trying the sport, she quickly developed a love of the game that sparked many years on the ice with the Shuswap Ringette Association and the Thompson-Okanagan Ringette League. She has competed at the national level three times, in addition to the B.C. Winter Games, Western Canadian Championships and B.C. Provincial Championships. “I started when I was five years old, I actually used to do figure skating and then my mom realized I was too aggressive for it and suggested I should try ringette. I fell in love with it and kept going with it,” she says. While Bacon has also kept active through other sports, she has decided to focus on excelling in ringette. While this doesn’t leave much time for other sports, qualifying to compete at a national level makes the experience worthwhile. “I don’t really have a life outside of ringette, but it is all worth it. This is like the highest I can really go in it; it’s pretty cool that I am 17 years old and I have already basically reached one of the highest points in the sport,” she says. Qualifying for Team B.C. was quite the process, involving nearly 18 months of tryouts and tests. By the end of the process, she was selected as a forward for the team with the responsibility of chasing the ring when the team loses possession. “It was a lot of dedication to stick with it – I had to give up a lot of weekends and a lot of time to make the team. It felt unreal to qualify though! It just felt so amazing that I got chosen for this when there are so many other athletes that could have been on the team,” she says. The tryouts involved quite a bit of travelling, as some sessions were held in different provinces. After qualifying, Bacon had the chance to join Team B.C. in training camps as far as Montreal and Halifax to practise with other provincial teams. Aside from sharpening her competitive edge, ringette has also allowed Bacon to take on a mentorship role for other youth in the area. At the Canada Winter Games, she will have her parents and a handful of friends in the stands as a cheering section. While coming away with a medal in a competition packed with the top Canadian talent may be a challenge, Bacon has faith in the strength of her team.